The term concerto (plural is concerti or concertos) usually refers to a musical work in which one solo instrument is accompanied by an orchestra. The concerto, as understood in this modern way, arose in the Baroque period side by side with the concerto grosso, which contrasted a small group of instruments with the rest of the orchestra. While the concerto grosso is confined to the Baroque period, the solo concerto has continued as a vital musical force to this day. This article will concentrate on the development of the solo concerto. The etymology of the word "concerto" is somewhat problematic, as the Italian concertare can mean “to contend, dispute,” but it also has the contrary meaning of “to agree.” The idea of two opposing forces is inherent in the use of the term. In the late sixteenth century there is often no clear distinction between concerto and sinfonia. Both of these terms were even used throughout the seventeenth century in Italy to describe vocal music with instrumental accompaniment; Giovanni Gabrieli published motets using either of these terms indiscriminately. Viadana’s Cento concerti ecclesiastici (1602) is an example of the early concerto for limited forces: he used one to four voices with continuo, composed in such a way that the works can still be performed if one or more of the voices is absent. From about 1675, composers started to write works for divided orchestra, the standard term for which is concerto grosso. The smaller division, which was effectively a group of soloists, was referred to in these works as the concertino, while the accompanying instruments were called the ripieno. In the concerti grossi of Arcangelo Corelli and Giuseppe Torelli, the violin in the concertino is sometimes given extended solo passages. These are the beginnings of the solo concerto. The first major innovations in the development of the solo concerto were made by Antonio Vivaldi, who established the ritornello form: solo passages alternate with orchestral tutti, which often repeat the same material, giving unity to the movement. He established the three-movement form (fast–slow–fast) which has been the norm for the solo concerto ever since. He wrote several hundred concertos, the most famous being the group of four for violin entitled The Four Seasons. By Johann Sebastian Bach's time the concerto as a polyphonic instrumental form was thoroughly established. The term frequently appears in the autograph title pages of his church cantatas, even when the cantata contains no instrumental prelude. Although his six Brandenburg concertos are often thought of as concerti grossi, the fourth has a very prominent violin part while the other two soloists are reduced to a much smaller role. The fifth is in effect a solo harpsichord concerto. The origins of the keyboard concerto are to be found in such concertos by Bach. He also wrote about six solo violin concertos, only two of which are extent, and a concerto for two violins and orchestra. Bach’s concertos are modeled on those of Vivaldi, but they expand the form, giving a coherent motivic unity to the contrapuntal textures of each movement. Bach’s sons continued to write concertos in their father’s tradition. They are the best in the genre which link the concerto of the Baroque period with that of Mozart. C. P. E. Bach’s keyboard concertos contain some brilliant soloistic writing. Some of them have movements that run into one another without a break, and there are frequent cross-movement thematic references. As a boy, Wolfgang Amadeus Mozart made arrangements for harpsichord and orchestra of three sonata movements by Johann Christian Bach. By the time he was 20, he was able to write concerto ritornelli that gave the orchestra admirable opportunity for asserting its character in an exposition with some five or six sharply contrasted themes, before the soloist enters to elaborate on the material. He wrote two concertos for flute (as well as one for flute and harp), one for each oboe, clarinet, and bassoon, four for horn, and a Sinfonia Concertante for Violin, Viola, and Orchestra. They all exploit the characteristics of the solo instrument brilliantly. His five violin concertos, written in quick succession, show a number of influences, notably Italian and Austrian. Several passages have leanings towards folk music, as manifested in Austrian serenades. However, it was in his 23 original piano concertos that he proved his talent. It is conventional to state that the first movements of concertos from the Classical period onward follow the structure of sonata form. Mozart, however, treats sonata form in his concerto movements with so much freedom that any broad classification becomes impossible. For example, some of the themes heard in the exposition may not be heard again in subsequent sections. The piano, at its entry, may introduce entirely new material. There may even be new material in the so-called recapitulation section, which in effect becomes a free fantasia. Toward the end of the first movement, and sometimes in other movements too, there is a traditional place for an improvised cadenza. The slow movements may be based on sonata form or abridged sonata form, but some of them are romances. The finale is sometimes a rondo, or even a theme with variations. See the main article at Mozart Piano Concertos. 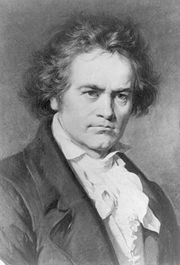 Ludwig van Beethoven’s five piano concertos increased the technical demands made on the soloist. The last two are particularly remarkable, integrating the concerto into a large symphonic structure with movements that frequently run into one another. His Piano Concerto no 4 starts, against tradition, with a statement by the piano, after which the orchestra magically enters in a foreign key, to present what would normally have been the opening tutti. The work has an essentially lyrical character. The slow movement is a dramatic dialogue between the soloist and the orchestra. Concerto no 5 has the basic rhythm of a Viennese military march. There is no lyrical second subject, but in its place a continuous development of the opening material. Beethoven’s Violin Concerto is unique in its scale and melodic qualities. He also wrote a Triple Concerto for piano, violin, cello, and orchestra. In the nineteenth century the concerto as a vehicle for virtuosic display flourished as never before. It was the age in which the artist was seen as hero, to be worshipped and flattered with rapture. Early Romantic traits can be found in the violin concertos of Viotti, but it is Spohr’s 12 violin concertos, written between 1802 and 1827, that truly embrace the Romantic spirit with their melodic as well as their dramatic qualities. Recitative elements are often incorporated, showing the influence of Italian opera on purely instrumental forms. Felix Mendelssohn opens his violin concerto (1844) with the singing qualities of the violin solo. Even later passage work is dramatic and recitative-like, rather than merely virtuosic. The wind instruments state the lyrical second subject over a low pedal G on the violin—certainly an innovation. The cadenza, placed at the start of the recapitulation, is fully written out and integrated into the structure. The great violin virtuoso Niccolò Paganini was a legendary figure who, as a composer, exploited the technical potential of his instrument to its very limits. Each of his pieces exploits rhapsodic ideas but is unique in its own form. The Belgian violinist Henri Vieuxtemps contributed several works to this form. Édouard Lalo’s Symphonie Espagnole (1875) displays virtuoso writing with a Spanish flavor. Max Bruch wrote three violin concertos, but it is the first, in G minor, that has remained a firm favorite in the repertoire. The opening movement relates so closely to the two remaining movements that it functions like an operatic prelude. Tchaikovsky’s violin concerto (1878) is a powerful work which succeeds in being lyrical as well as superbly virtuosic. In the same year Brahms wrote his violin concerto for the virtuoso Joseph Joachim. This work made new demands on the player; so much so that when it was first written it was referred to as a "concerto against the violin." The first movement brings the concerto into the realm of symphonic development. The second movement is traditionally lyrical, and the finale is based on a lively Hungarian theme. Following on from the Classical examples of Luigi Boccherini, the concertos of Robert Schumann, Carl Reinecke, David Popper, and Julius Klengel focus on the lyrical qualities of the instrument. Tchaikovsky’s contribution to the genre is not a concerto but a series of variations on a Rococo theme. Brahms contributed to the repertoire with a Double Concerto for violin, cello, and orchestra. Dvořák’s cello concerto ranks among the supreme examples from the later part of the century. The piano concertos of Mendelssohn, John Field, and Johann Nepomuk Hummel provide a link from the Classical concerto to the Romantic concerto. Frédéric Chopin wrote two piano concertos in which the orchestra is very much relegated to an accompanying role. Robert Schumann, despite being a pianist-composer, wrote a piano concerto in which virtuosity is never allowed to eclipse the essential lyrical quality of the work. The gentle, expressive melody heard at the beginning on woodwind and horns (after the piano’s heralding introductory chords) bears the material for most of the argument in the first movement. In fact, argument in the traditional developmental sense is replaced by a kind of variation technique in which soloist and orchestra interweave their ideas. Franz Liszt's mastery of piano technique matched that of Paganini for the violin. His two concertos left a deep impression on the style of piano concerto writing, influencing Rubinstein, and especially Tchaikovsky, whose first piano concerto's rich chordal opening is justly famous. Edvard Grieg’s concerto likewise begins in a striking manner after which it continues in a lyrical vein. Johann Brahms's first piano concerto in D minor (1861) was the result of an immense amount of work on a mass of material originally intended for a symphony. His Piano Concerto no 2 (1881) has four movements and is written on a larger scale than any earlier concerto. Like his violin concerto, it is symphonic in proportions. Besides the usual three-movement works with the title "concerto," many nineteenth century composers wrote shorter pieces for solo instrument and orchestra, often bearing descriptive titles. 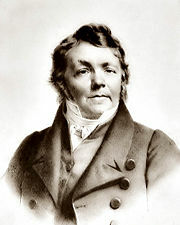 Schumann liked titles such as Concertstück and Phantasie. Liszt wrote the Totentanz for piano and orchestra, a paraphrase of the Dies Irae. Max Bruch wrote a popular Scottish Fantasy for violin and orchestra, César Franck wrote Les Djinns and Variations symphoniques, and Gabriel Fauré wrote a Ballade for piano and orchestra. Many of the concertos written in the early twentieth century belong more to the late Romantic school than to any modernistic movement. Masterpieces were written by Edward Elgar (for violin and for cello), Sergei Rachmaninoff (four piano concertos), Jean Sibelius (for violin), Frederick Delius (for violin, cello, and piano, and a double concerto for violin and cello), Karol Szymanowski (two for violin and a "Symphonie Concertante" for piano), and Richard Strauss (two horn concertos, one violin concerto, and among later works an oboe concerto). The two great innovators of early twentieth century music, Schoenberg and Stravinsky, both wrote violin concertos. The material in Schoenberg’s concerto, like that in Berg’s, is linked by the twelve-tone serial method. Schoenberg’s Piano Concerto (1942) is unified into a single movement. Bartók wrote two important concertos for violin and three for piano, which together show the various stages in his musical development. William Walton wrote concertos for violin, viola, and cello and Prokofiev produced two violin concertos, along with five piano concertos which he himself performed. Aram Khachaturian wrote a concerto and a Concerto-Rhapsody each for violin, cello, and piano. Carl Nielsen contributed three important works to the genre (for flute, clarinet, and violin), and Paul Hindemith’s concertos hark back to the forms of the nineteenth century, even if the harmonic language had by then evolved. Britten’s concertos for piano (1938) and violin (1939) are mature works from his early period, while the so-called Cello Symphony (1963) emphasizes, as its title suggests, the equal importance of soloist and orchestra. Today the concerto tradition has been continued by composers such as Hans Werner Henze, György Ligeti, and especially Peter Maxwell Davies, whose series of Strathclyde Concertos exploit some of the instruments less familiar as soloists, such as double bass (1992) and bassoon (1993). Hill, Ralph, ed. The Concerto. Pelican 1952. Layton, Robert. A Companion to the Concerto. NY: Schirmer Books. 1989. This page was last modified on 5 November 2008, at 18:45.